If you haven't checked out our huge American Indian ring collection, do yourself a favor and don't put it off any longer. 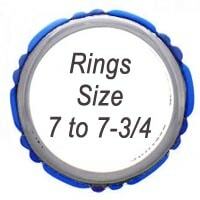 Our online catalogue of lapis rings is very popular (especially this time of year), in large part because we have such a vast collection to choose from. 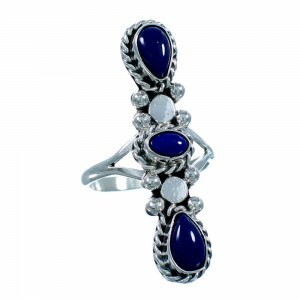 We have a diverse collection of lapis rings, everything from simple single stone lapis band rings to more complex Zuni lapis Inlay flower rings and even large lapis cluster rings. One of our favorite varieties of rings is our adjustable lapis ring design. 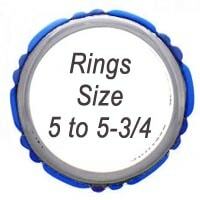 Our customers love this product for many reasons; one of them being that the ring can expand and contract with you, so it always fits! 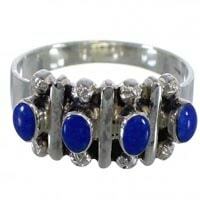 We have rings with just lapis by itself or mixed with other stones like turquoise or coral. 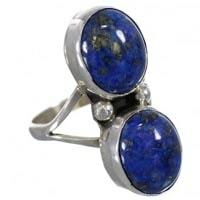 The expertise and creativity of our artists always defies belief; new techniques and styles of lapis ring designs are always emerging, and you never know what to expect from these highly skilled artists. Although lapis is considered to be a rock it does have a small amount of minerals imbedded into it, the most common and desirable being pyrite. Pyrite, or fool's gold as it is commonly known, gives some lapis stones a gold speckled appearance, which in the right ratio is highly sought after by many collectors. The beautiful canvas of the deep blue lapis and the presence of stunning pyrite specs inspired Southwest tribes to incorporate the gemstone into magnificent lapis rings. 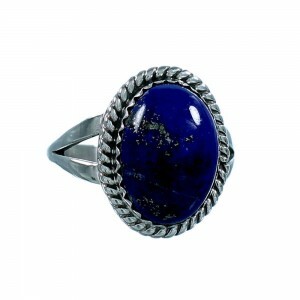 The lapis used in the creation of Native American rings is believed by many to have many healing powers, some believe that lapis has the power to relieve migraine headaches, alleviate depression, and even strengthen the immune system. 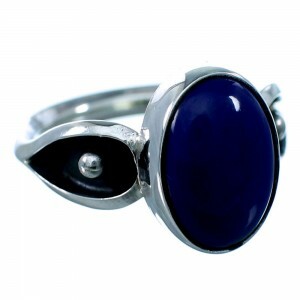 As well as healing there are many other properties that lapis rings are believed to posses, like vivid dreams, bringing clarity and focus to the mind and a deep inner peace. 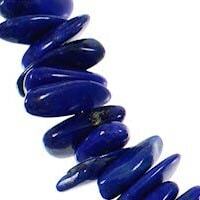 Lapis has been used by civilizations all over the world for thousands of years. It is however, a somewhat recent addition to Southwest jewelry and wasn't widely used by tribes until the stone became widely available through trade. 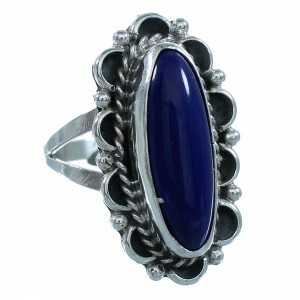 At SilverTribe we are proud to bring you our large and continuously expanding line of Southwestern lapis rings, at prices no one can duplicate. 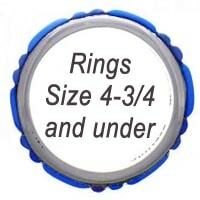 Whatever the occasion, and whatever the season, we carry the best lapis ring to fit your needs and fit your budget. We strive to be and remain the best source for Native American jewelry, with exceptional customer service, high quality, and lowest prices. 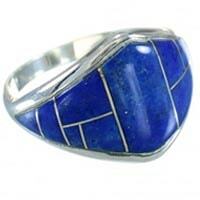 Browse our selection to find a great deal on a lapis ring to add to your collection. Don't forget to sign up for our email list to gain access to exclusive offers and discounts.